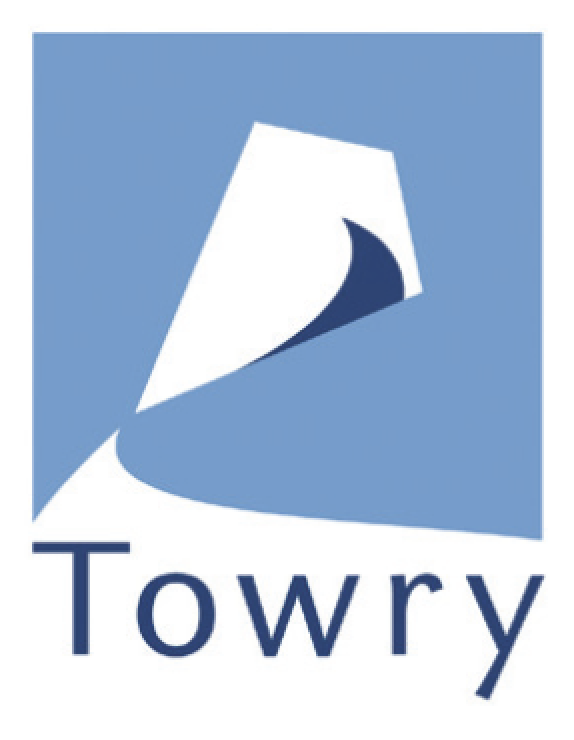 Towry was one of the UK’s leading wealth management and advisory businesses. 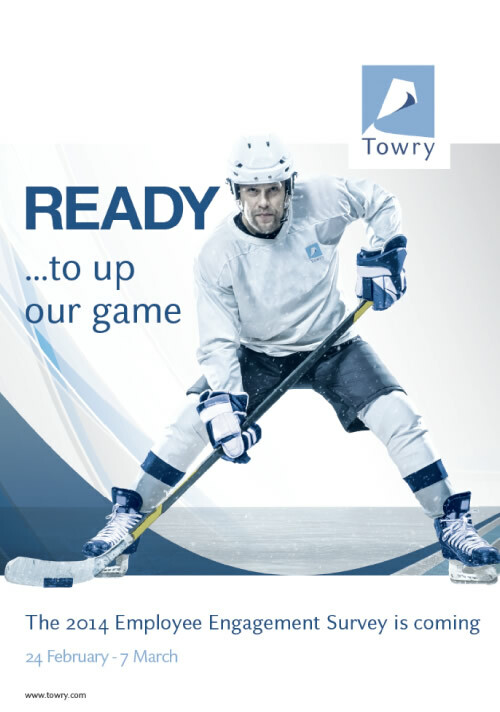 With skills across investment management and financial planning, Towry was focused on helping its clients achieve their financial goals. They had more than 700 staff across more than 20 locations across the UK. They asked us to help codify and communicate a new Code of Ethics across the business. 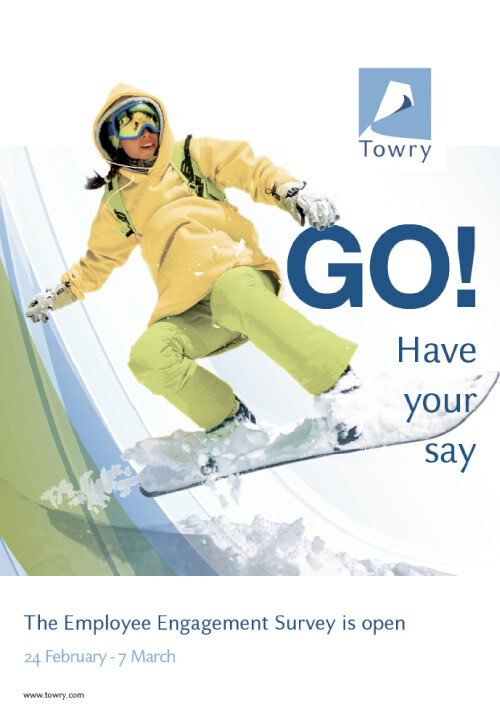 We designed and created an internal communications campaign to launch and sustain Towry’s new ‘way of working’. 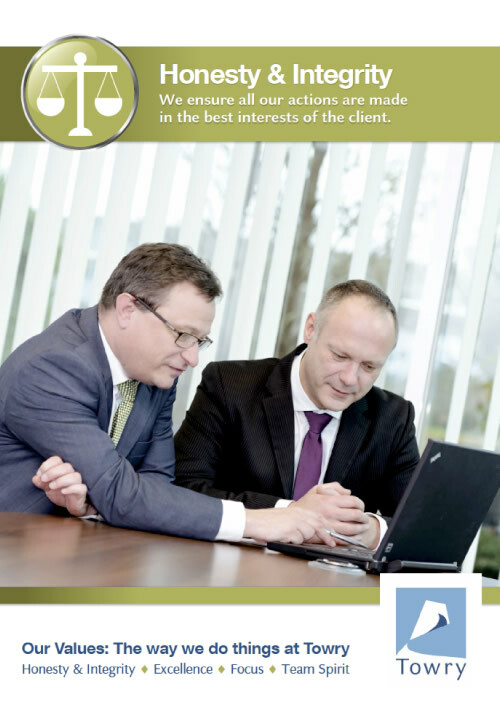 We created a suite of materials including the company’s Code of Ethics and ‘Treating Customers Fairly’ brochure. 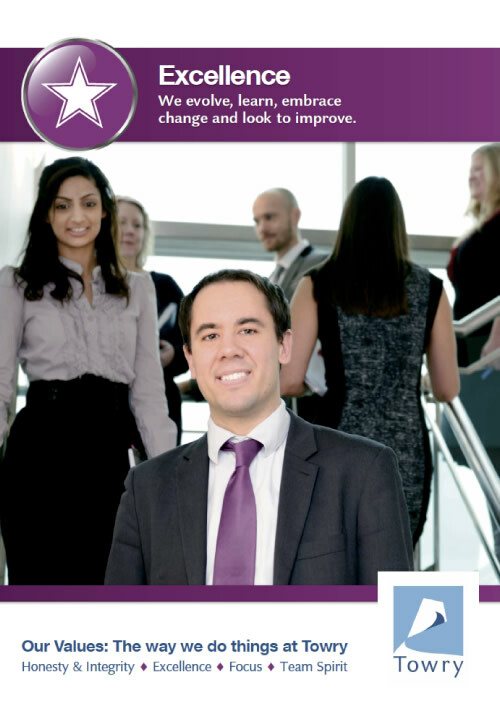 We also advised on launch and promotion, with posters, events and ‘talkback’ opportunities to ensure adoption across the entire branch network. Our approach was simple. Use real staff, who we photographed beautifully, and keep the content pure and approachable, focusing on the brand strengths and customer-first ethos. The result was an engaged workforce and adherence to corporate standards of behaviour. 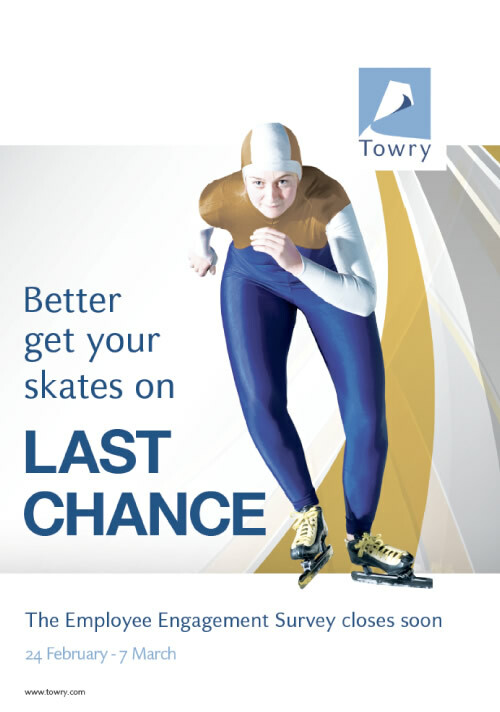 Such was the company’s resultant stellar success, they were acquired by Tilney for £600m.